Wingspan and Rosling’s previous BBC show, The Joy of Stats won a Grierson Award for Best Science/Natural History programme. 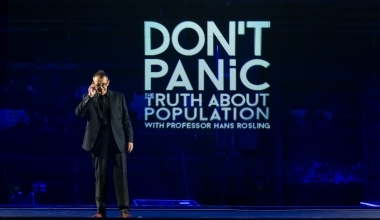 Now Wingspan and Rosling team up again for Don’t Panic, a tour-de-force event in which his vast datasets come to life ‘as live’ via Musion, the amazing holographic projection system used here in factual television for the first time. Rosling is one of Time Magazine’s ‘100 Most Influential People in the World’, not to mention being the current reigning ‘International Swede of the Year’! We face huge challenges in terms of food, resources and climate change but at the heart of this entertaining and exuberant statistical tour-de-force is the message that the world of tomorrow is a much better place than we might imagine. Rosling reveals that the global challenge of rapid population growth, the so-called population explosion, has already been overcome. In just fifty years the average number of children born per woman has plummeted from 5 to just 2.5 and is still falling fast. Projections for a few generations’ time show world population growth levelling off completely. Yet in what Rosling calls his ‘Ignorance Survey’ he discovers that people’s perceptions of the world are often decades out of date. He can even show that the British know statistically less about the world than chimpanzees! In Bangladesh – a country once famously described as a ‘basket-case’ – families of two children are now the norm. We meet Taslima Khan who travels through rural villages dispensing contraceptives and advice on how to deal with difficult husbands. Deep in rural Mozambique – one of the poorest countries in the world – we meet subsistence farmers Andre and Olivia who’ve been saving for two years to buy a piece of life-transforming technology – a bicycle. Now everything depends on their sesame harvest. Will they manage to pedal their way out of poverty once-and-for-all? Globally the proportion of people in extreme poverty is the lowest ever, and now the UN is setting itself the goal of eradicating extreme poverty completely within the next twenty years. 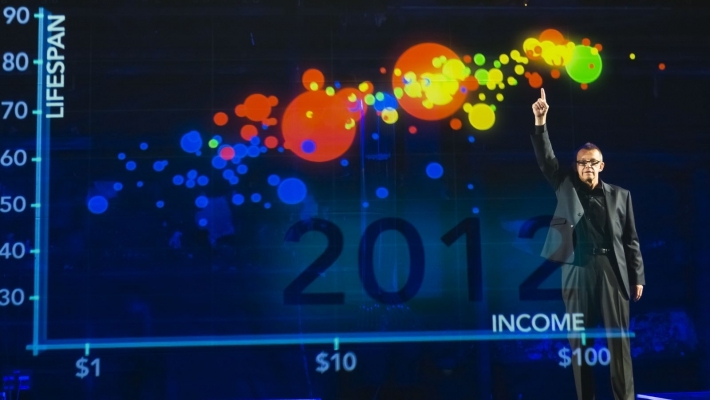 Rosling is no Panglossian optimist, and Don’t Panic acknowledges our many challenges. Ultimately, though, his aim is to help clear our collective heads. Only with the data can we see how to attack our real problems with hope of success; and only with the data can we tell what we really need to worry about from what we don’t. Yet what the data does show – there’s no doubt about it – is that the world is already better than most of us think.